Though many fans attributed new WBO welterweight champ Jeff Horn’s calling out of Floyd Mayweather to overexcitement, the controversial conqueror of Manny Pacquaio insists he really does want the fight. What’s more, Horn is convinced he can defeat Mayweather the way he did Pac Man. With time to reflect and look back on his brilliant if controversial win over Pacquiao, Horn said to Australian media as he was mobbed in Brisbane how he thinks Mayweather’s age will prove a major factor in the fight with him if it happens. It does seem very unlikely that Mayweather, who has his “final” ring appearance against Conor McGregor in August, will be interested in fighting Horn. What’s in it for Floyd? Another belt? – he has around two dozen already! A big payday? – a Horn clash would bring in nothing like the monster payday “Money” will pick up after the McGregor bout! No, Mayweather is almost 100-percent certain to ignore Horn’s call-out. Why not indeed; but will Mayweather hear his name being called out by yet another wannabe ring rival of his? Did Mayweather even watch the Horn-Pacquiao fight (Floyd is a keen gambler as we know; wonder if he picked up a bundle placing a wager on underdog Horn!). Horn is entitled to call out Mayweather, still the biggest name in the sport, but there are other, far more realistic big fights out there for him. As he only wants the “tough fights,” Horn can be expected to be eager to get in there with one or more of the other current welterweight rulers. Horn against Keith Thurman would prove interesting. 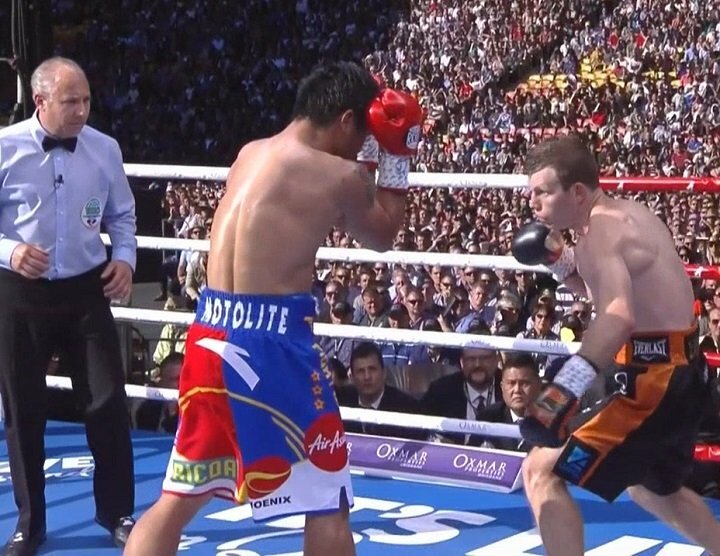 Next boxing news: Where does the Horn-Pacquiao result rank amongst the worst decisions in big fight boxing history?